Delhi - Manali - Leh - Likir - Yangthang - Hemis - Timosgam - Lamayuru - Alchi. 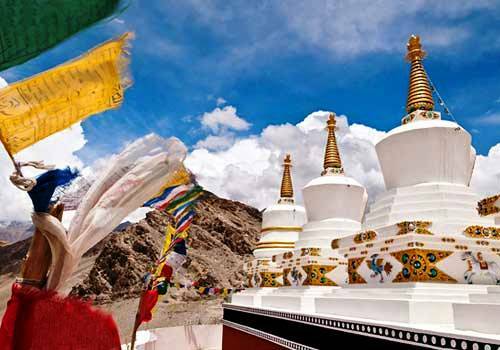 Take a tour to famous Buddhist Monasteries of Leh & Ladakh. Ladadkh is well-known worldwide for housing numerous captivating Monasteries. 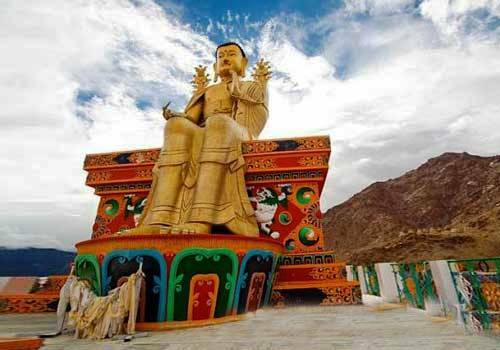 Those who have a Monastery Tour in their wish list can go for this 10 Days trip to the Monasteries of Ladakh. Your tour will begin from Delhi, and you will reach Leh en-routing Manali. To reach the most admired Monastery of Ladakh- Alchi, you will have to cross River Indus that will give you a whole new experience. You will get to witness the enchanting wall paintings inside the monasteries and experience eternal peace throughout the trip. Arrival to Delhi and check in the hotel for overnight stay in Delhi. Drive to Manali. Check in the hotel and overnight stay in Manali. Sightseeing and overnight stay at the hotel in Manali. Two days drive from Manali to reach Leh on Day 5. Overnight stay in the hotel at Leh. After breakfast proceed for Indus Valley monastery tour. 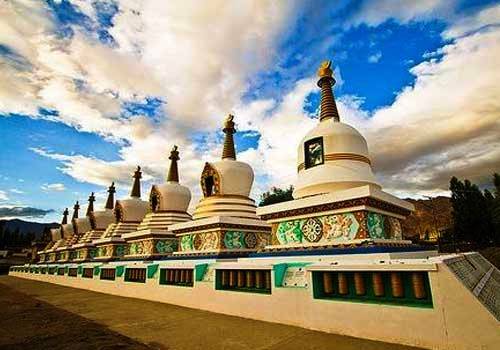 We start with a visit to Shey, the ancient capital of Ladakh. The monastery here has a huge gold-gilded statue of Buddha Sakyamuni with a large silver lamp burning in front of the statue. Then we visit Thiksey Gompa, an impressive complex rising tier upon tier on a hill above the village. The monastery has a beautiful 30 m high gold-plated statue of Maitreya Buddha, the Buddha of the future. Drive further to visit the famous Hemis Gompa, founded in 1630's by Stag-tsang-ras-pa under the royal patronage of Sengge Namgyall. Hemis is one of the largest and richest gompas of Ladakh. The two-day festival of monastic dance in June-July has raised the reputation of Hemis particularly high. 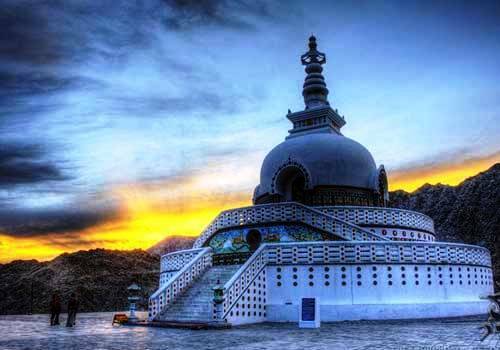 The festival is dedicated to Guru Padmasambhava, popularly known as second Buddha and responsible for spreading Buddhism in the Tibetan world. Later we visit the Stok Palace, the Royal residence of the King of Stok & the Museum that has a rich collection of Ancient Ladakhi artefacts including old Thangkas, precious stones, arms and armoury, the Queen’s necklace and the crown of the King of Ladakh among others. Overnight stay at the hotel in Leh. After breakfast drive from Leh to Likir for 2 hours. At Likir you will meet all your trekking staff and ponies. One can visit Likir monastery situated on a hill towards the village. Start your trek through a barley field to cross a small stream and then to village Sumdo. Then gradually trek to village Yangthang to camp overnight. Trek to Wulle valley and then ascent for one hour to Shemchan La and then descent towards Hemis Shukpachan, the highest village in this route. It’s a big village and is famous for Cedar trees found in plenty here, hence the name of village. 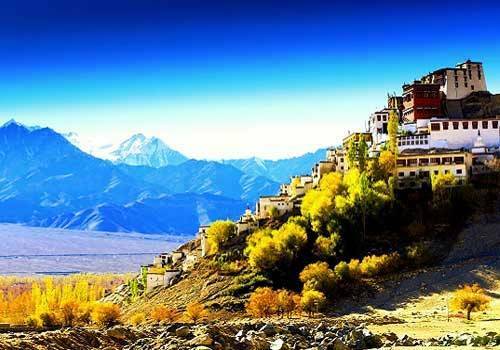 We will visit a family house and have some butter tea and Ladakhi chang (the local beer) There is a small but beautiful monastery just outside the village that we can visit. Camp for overnight stay. Trek through the Apricot rich village of Ang and reach Timosgam, the historical village, where one can visit the monastery and the Palace. 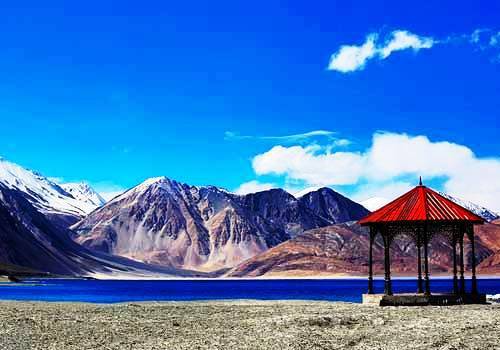 This valley has warm weather as compared to Indus valley and hence conducive to thick vegetation and hence there are plenty of apricots, apples and nuts making it one of the richest valleys in Ladakh. Since people are rich they have beautiful houses with wonderful interior. From Timosgam we drive to Khasltse and Lamayuru. Lamayuru monastery was founded by Rinchen Zangpo in the 10th century. This gompa is located amidst the massive mountains. 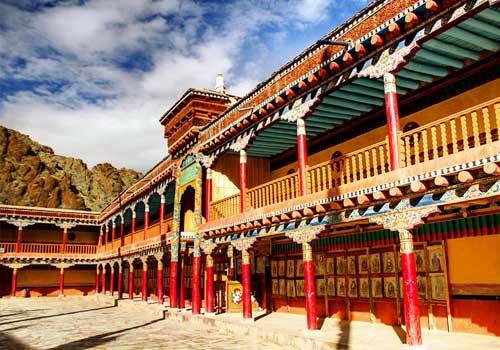 The spectacular setting of this gompa and its renowned collection of carpets, thangkas and frescoes has been attracting many people over a long time. It is believed to be the oldest in central Ladakh. Overnight stay in tented camp in Lamayuru. 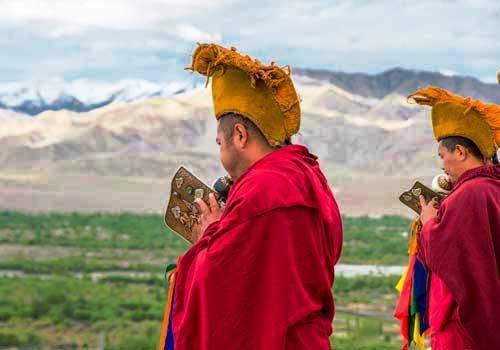 In the morning visit the Lamayuru monastery to be part of the morning religious ceremony. It’s a very soothing and spiritual experience to be there among these warm and friendly monks. 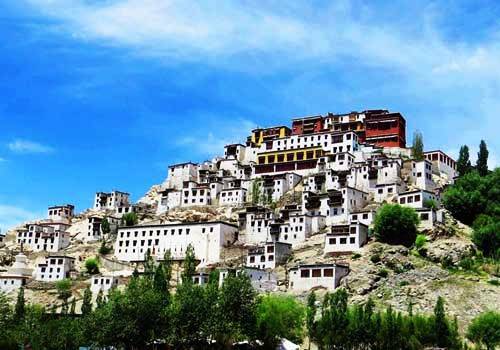 Then drive for Alchi and cross the River Indus and reach Alchi, Ladakh's most loved monastery. Over a century old, its wall paintings are very similar to those of the Tabo gompa in Spiti, Himachal Pradesh. Unlike other monasteries which are usually on a cliff top or cling to a mountainside, Alchi is at ground level and is nestled in the shade of a garden. On the way to Leh visit the Basgo monastery, famous for its Buddha statue. In Leh overnight stay in the hotel.